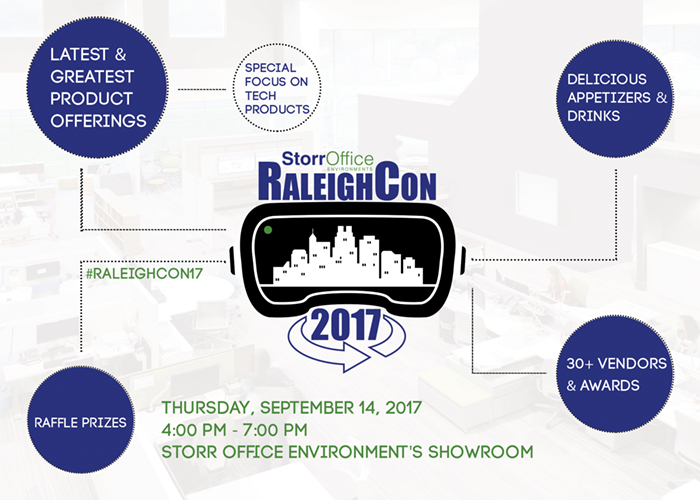 Join Storr Office Environments for our 5th Annual RaleighCon 2017! Over 30 vendors will be showcasing their latest & greatest commercial furniture product offerings. We are highlighting the latest tech trends including an immersive virtual reality experience. Come enjoy delicious appetizers, drinks, and music. We’ll be raffling off some great prizes throughout the event including a grand prize that will be announced day-of. Don’t miss this unique event!